It seems Wonder Woman 1984 was the perfect opportunity for Warner Bros. to trojan horse the next set of DC films into the public eye. But to be fair, Aquaman was one of the hardest bad-asses of Justice League. And we get the first look images of Jason Momoa’s character as well as Amber Heard’s Mera on set. And we also get our first look at Black Manta, whom is played by actor Yahya Abdul-Manteen II. He’s part mercenary but full-time pirate who in his suit will look like some crazy alien from outer space… Black Manta is a really interesting character who is somehow factored into this story but our main story is about Jason and Patrick. What this says for the current DCEU, is… well… need we repeat ourselves? 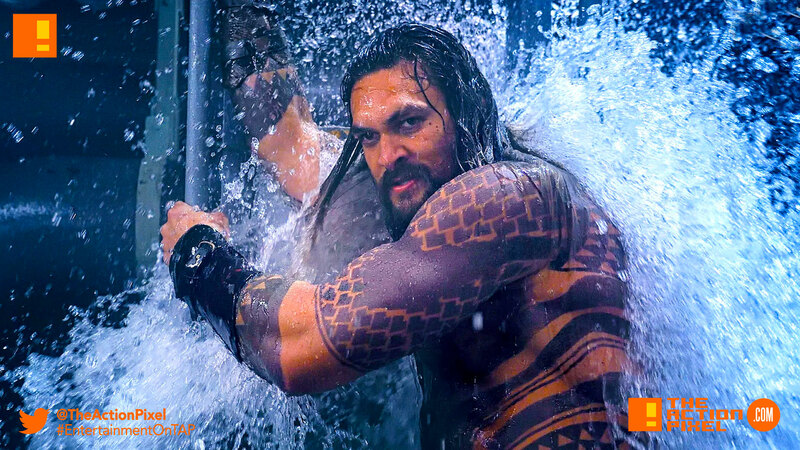 Aquaman stars Jason Momoa as Aquaman, Amber Heard as Mera, Willem Dafoe as Nuidis Vulko, Patrick Wilson as Orm the Ocean Master, Yahya Abdul-Mateen II as Black Manta, with Temuera Morrison as Aquaman’s father, Thomas Curry, Nicole Kidman is playing the mother to Aquaman, Queen Atlanna, and Dolph Ludgren is King Nereus.